From 1 January 2010, several changes to Australia’s workplace laws come into effect. These changes will affect many Licensees who employ staff in their business. The changes include the introduction of new National Employment Standards and many State employers moving into the national system. The Fair Work Act introduced a set of ten minimum workplace standards known as the National Employment Standards. These standards apply to all employers and employees in the national workplace relations system. The Fair Work Information Statement summarises the National Employment Standards and contains other information regarding termination of employment, freedom of association, transfer of business and other matters. The Fair Work Information Statement can be posted, emailed, faxed or given personally to the new employee. National workplace relations advisors Workforce Guardian have joined with POAAL to offer POAAL members free over-the-phone industrial relations advice. Workforce Guardian will provide free over-the-phone advice to paid-up POAAL members on topics including the Postal Services Industry Award, employment contracts, pay rates, engaging and dismissing staff, inductions, discrimination and more. 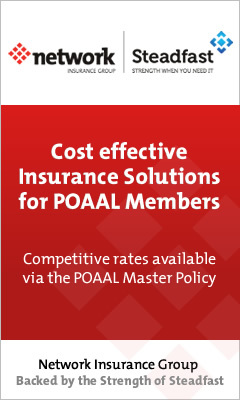 POAAL members can sign up for this exclusive member benefit just by ticking the box on the POAAL membership form when you renew your POAAL membership. To access the free over-the-phone IR advice you will need to quote your name, LPO and your current POAAL membership number (from your membership card). Another exclusive POAAL member benefit.